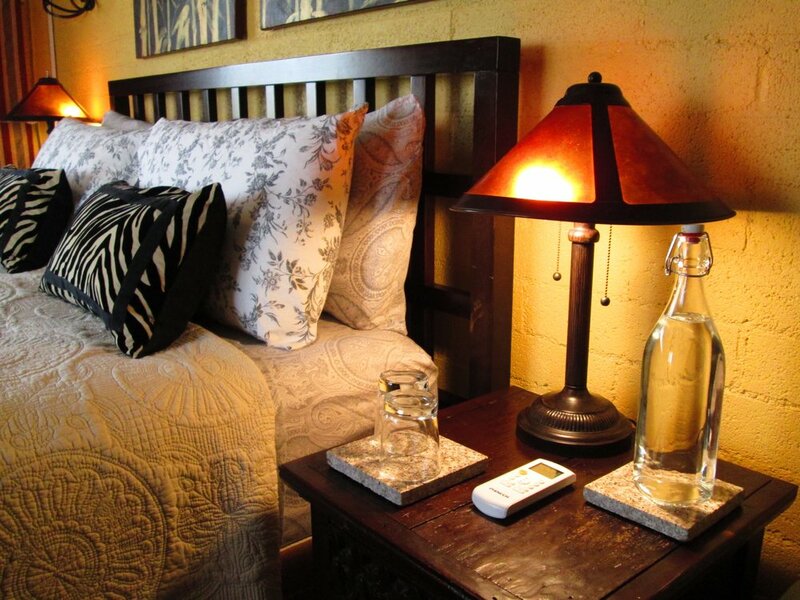 Sleeps up to six people the Sullivan Cabin is available for short-term rental or as vacation home. 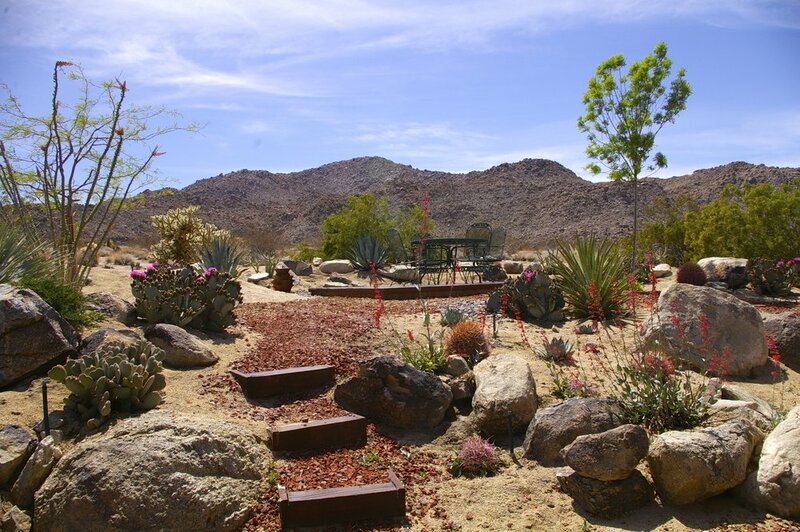 Views of Joshua Tree National Park, furnished but close to 29 Palms Marine Base and shopping. 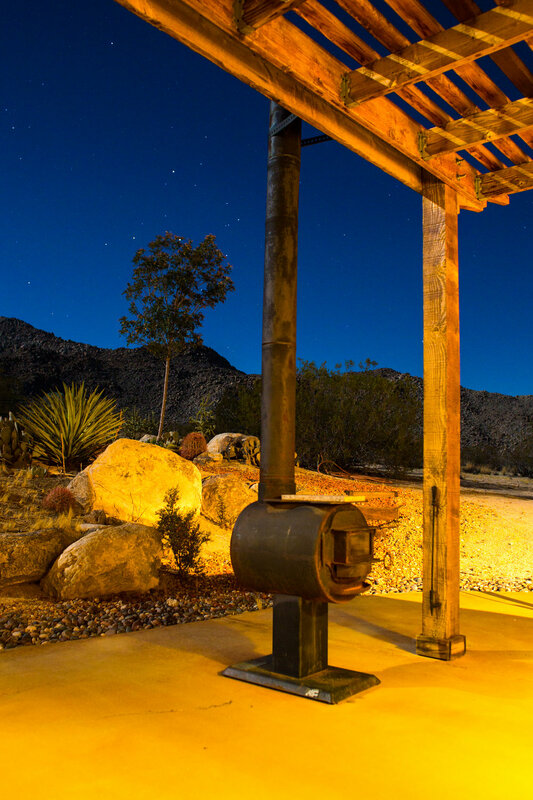 The Sullivan Cabin is a magic retreat with amazing views of Joshua Tree National Park. The property is the perfect mix of a rural setting with convenient living. This fully furnished property has a single bedroom with sleeper sofa in the bonus room with a detached cottage for additional guests. 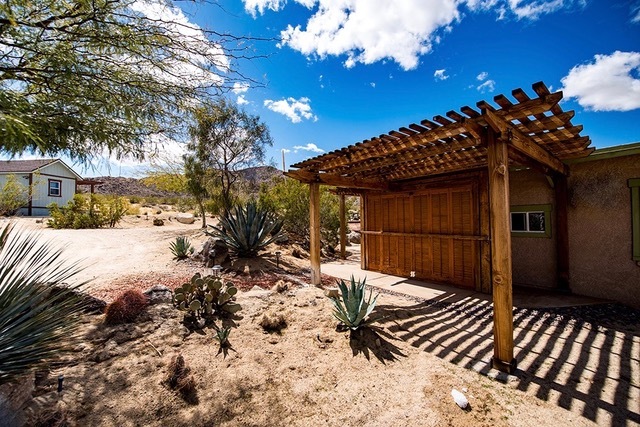 This unique property provides natural outdoor beauty with all the fully stocked conveniences including linens, kitchenwares, washer/dryer and BBQ. 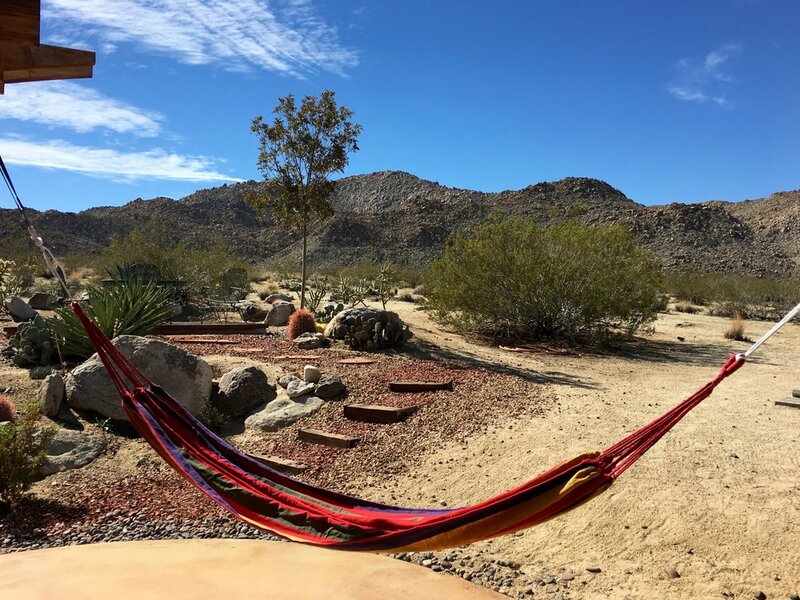 Amazing views of Joshua Tree National Park boundary out your back door. 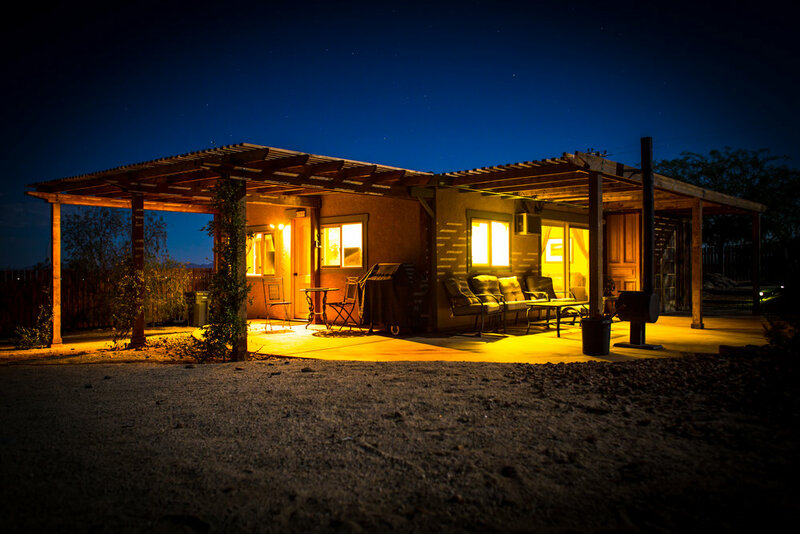 This cabin is quite and rural yet conveniently located only 1 mile from Hwy62. 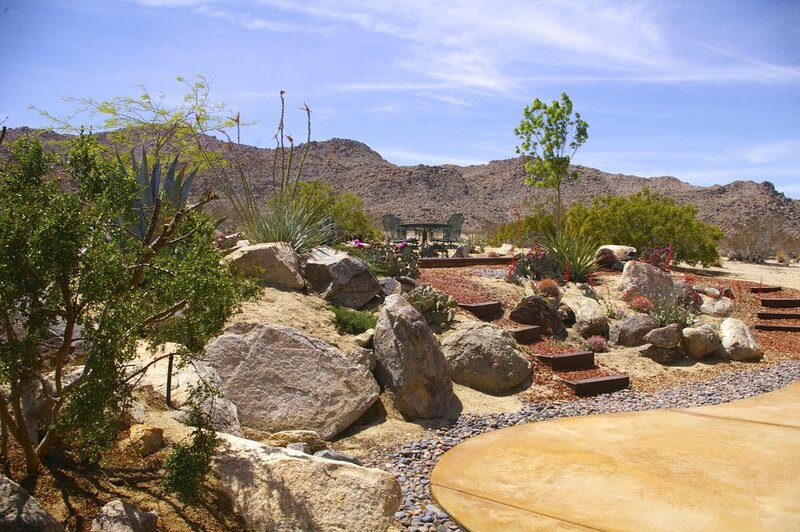 Equal 8 miles distance between the downtown areas of 29 Palms or Joshua Tree.